One would think that having a petition going around specifically calling for your own television show's cancellation because of "discriminating statements and views against the LGBTQ community" would be slightly stressful — but not for the Duggars. 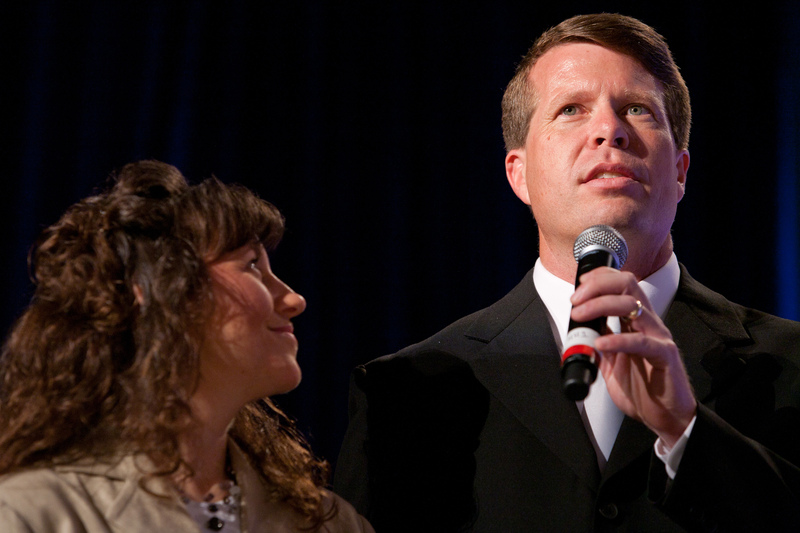 According to MSN, despite a petition that gained traction last month requesting that TLC cancel the long-running reality series 19 Kids and Counting due to the family's personal (and often offensive) views on everything from the trans community to abortion, the massive family's patriarch, Jim Bob Duggar, has stated that he's not worried about a 19 Kids and Counting cancellation — because the show is one of TLC's top series, and there's no such thing as bad publicity. "They won't succeed," he said during a recent event. "Our show is the No. 1 show on TLC. It's a small group creating this fuss. All it has done is give us more exposure...God is expanding our borders through the national media." 19 Kids and Counting follows the day-to-day life of the conservative Christian (not to mention completely massive) Duggar family, and often does leave the family's personal views out of episodes. However, behind-the-scenes, it's a different story: Earlier this year, one of the elder daughters of the family, 22-year-old Jessa Duggar, posted a super offensive opinion on her Instagram that basically blamed the holocaust on evolution and compared it to abortion — and, before that, this past August, family matriarch Michelle Duggar recorded an astonishingly transphobic robocall to make people protest an upcoming bill that would actually help achieve equality for transgendered individuals. Though he didn't reference any situations specifically, Jim Bob did address this as well — vaguely: "We love everybody, but we don't always agree with them." As of now, TLC has made no comment about the petition, which has nabbed over 182,000 signatures so far on Change.org. It's worth mentioning that the series, currently, is receiving some of its best ratings ever on TLC: Back in September, it nabbed 3.29 million plus viewers, which is pretty high considering the show is on a cable channel.